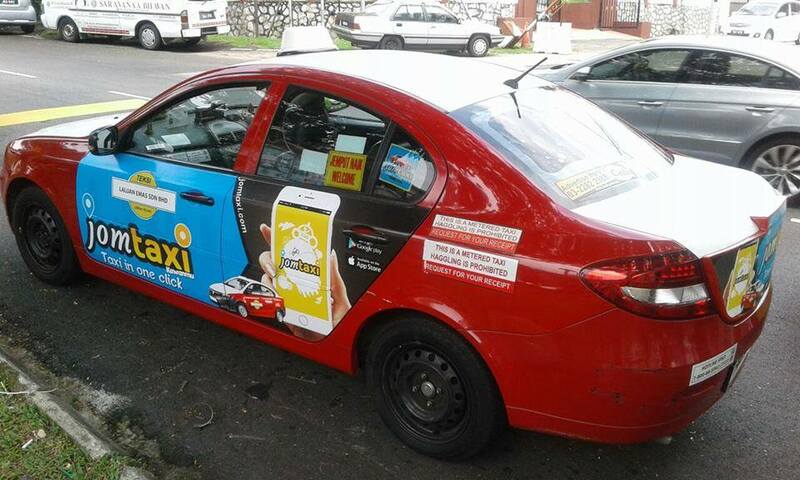 Jomtaxi is a free smartphone app that allows anyone to order a licensed taxi in seconds. 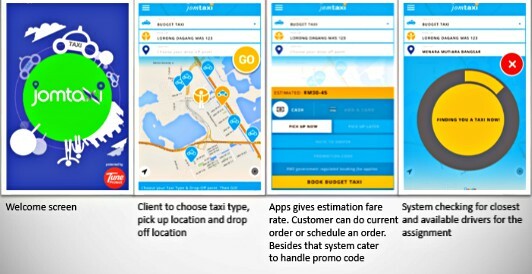 Jomtaxi apps launched on February 2016 and it available for ios and android user. There are more than 2000 drivers sign up with Jomtaxi. Impressive with Jomtaxi as chauffer provider. Introduce to you Mr. Valens and Mr. George Grama , the passionate founders behind the successful of Jomtaxi apps. With the effort and dedication in starting of the two foundres, Jomtaxi has become everyone savior as Jomtaxi ensure their customer enjoy the best service and arrive safe at their destination. Jomtaxi represent the international effort of the two founders. How to book my taxi with Jomtaxi? Download Jomtaxi for free into your mobile. Register as Jomtaxi user. Start your booking now by choosing your taxi type and drop off point. Ensure your phone stay connected with internet as Jomtaxi can access your location. 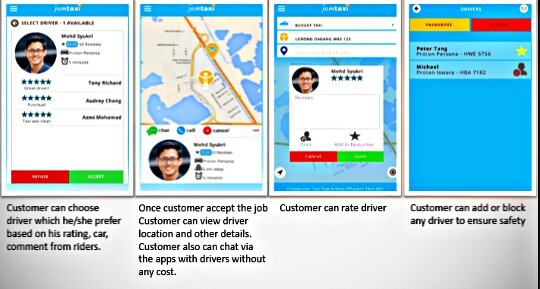 Jomtaxi apps allow you to choose your own taxi driver based on his profile, picture and other comments from customer. 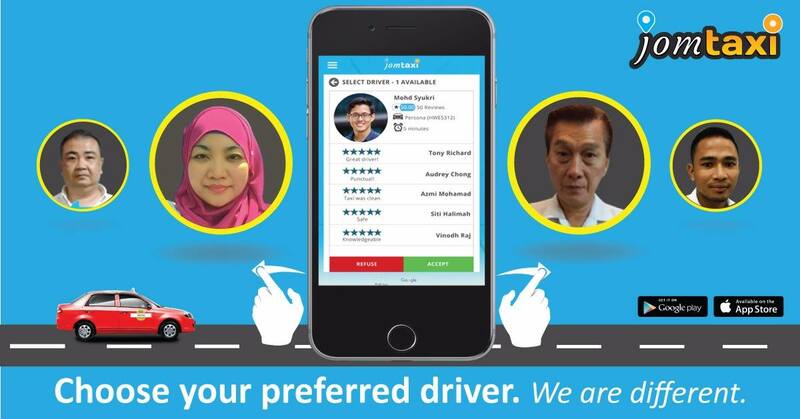 Frankly speaking, only Jomtaxi provide this unique section whereby we can select our own taxi drivers. It so different compare the currently application that I using and that is the reason I switch to Jomtaxi. Once the booking has been placed by user, system will check for closest and available driven for the assignment. No worries your taxi driver will be late as you can follow the taxi on the map. He has your address and a navigation feature that will bring him to your exact pick-up point. Chat or call the driver as he is on his way. He can also send you messages as being another communication channel. The driver sends you a “Buzz” when he arrives so you know exactly when he is outside waiting for you. No calls required. If you like the taxi driver service, do give them a rate at the end of your trip. You can add favorite if you like their service or even block the drivers. Why I choose Jomtaxi as my chauffer provider? Jomtaxi users will automatically insured on every trip . 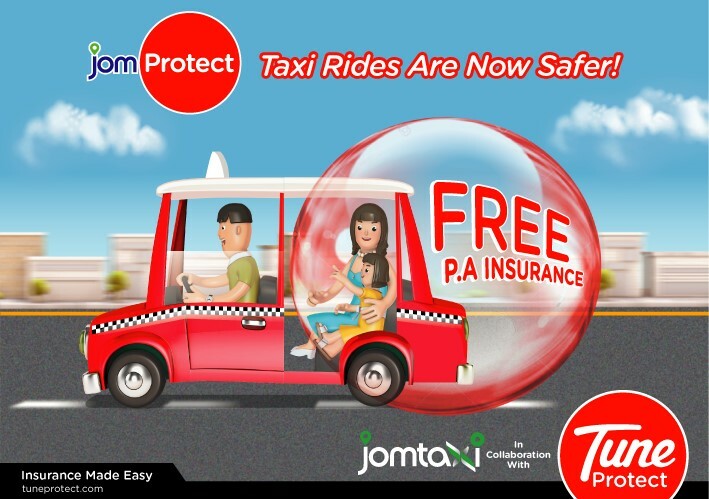 Tune protect has joined forced with Jomtaxi to introduce JomProtect, a free insurance plan designed to protects passenger throughout their journey, making taxi ride safer. 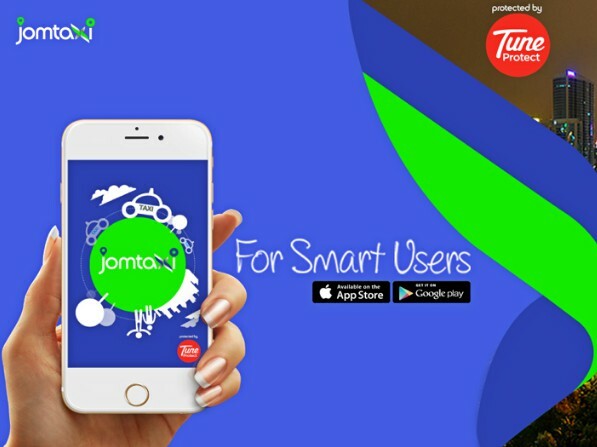 Unique to Jomtaxi, the JomProtect plan is integrated into the app booking system whereby passengers who are registered for the specific taxi ride will automatically be included as the insured in this tailor-made insurance policy. Making a purchase through this app, passengers who journey with a taxi will automatically enjoy the complimentary insurance coverage valued at up to RM10,000. Among the list of benefits covered under the JomProtect plan are protection for women against sexual assault and molestation, robbery and accidents. Bereavement allowance is also included under the plan and compensation will be given to the family of the insured in the event of any unfortunate situation which results in a fatality. Jomtaxi will ensure their user get the best service when place a booking using Jomtaxi apps. All the taxi drivers that applied with Jomtaxi are license taxi driver . User can browse the feedback or rating provided by other user. I find Jomtaxi apps is friendly user and it took 5 minutes for me to hail a taxi. Jomtaxi is a reliable apps and even my friends give a good compliment regarding the apps. Bravo to the team. 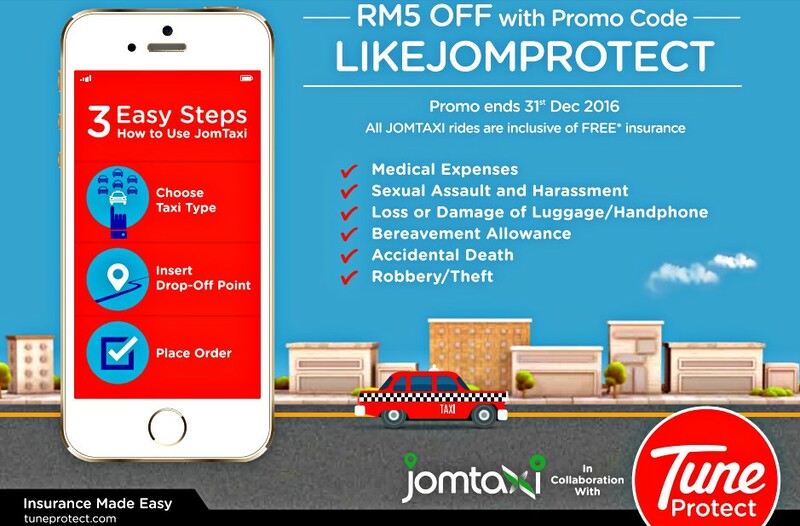 I have surprise for my reader as you get RM 5 off with promo code LIKEJOMPROTECT is you book taxi with Jomtaxi. 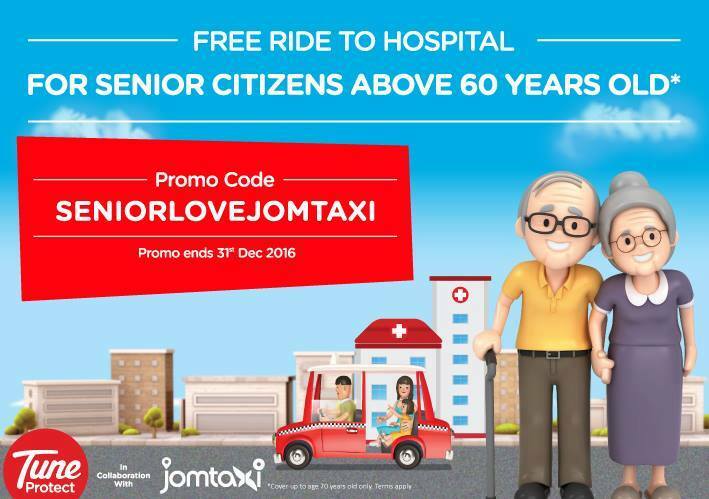 And a FREE RIDE to hospital for senior citizens above 60 years old. Jomtaxi provide me VIP service and there are no reason I will not use Jomtaxi. Download Jomtaxi now and enjoy their services. For more information check their website at http://jomtaxi.com or follow them on Facebook.